Are you looking for a way to "raise the bar" in your jewelry looks? Look no further than this bar necklace! Crafted in 14kt yellow gold, it features a diamond-dotted horizontal that will dazzle and delight. 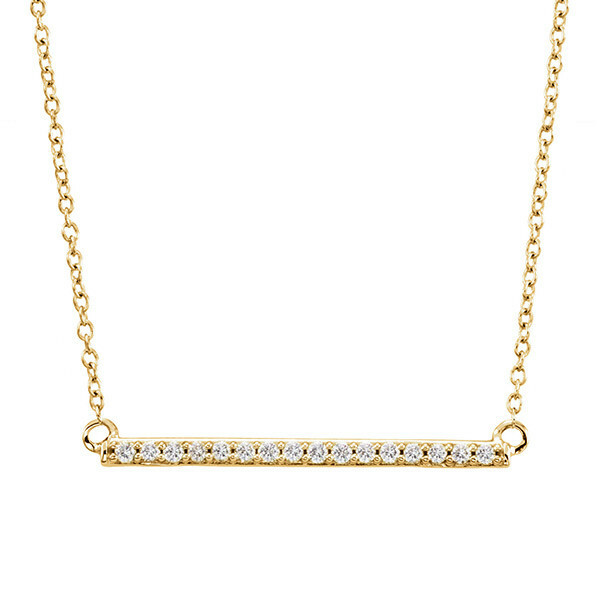 The necklace is a simple statement-maker that you'll wear repeatedly for any number of occasions.